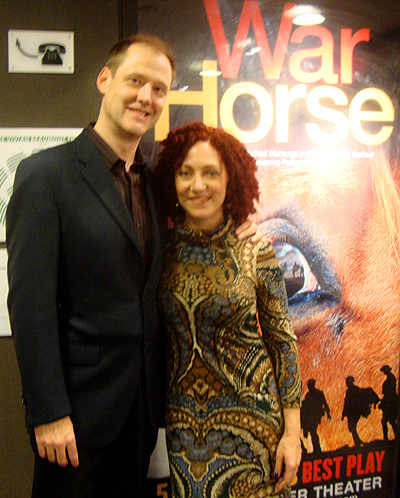 In October 2011, we saw a unique play at Lincoln Center in New York City. It was the best theatrical experience we've ever had. 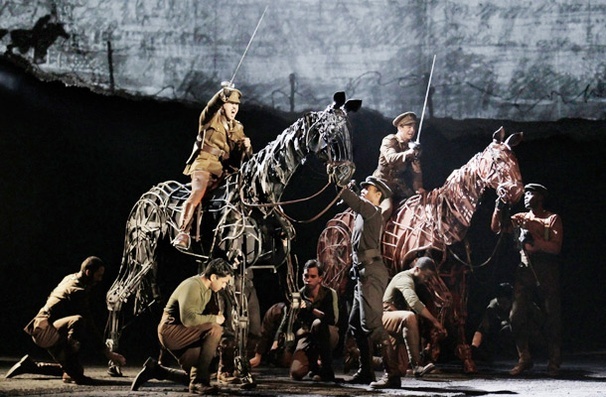 It was the story of a horse named Joey who sees combat in World War One. 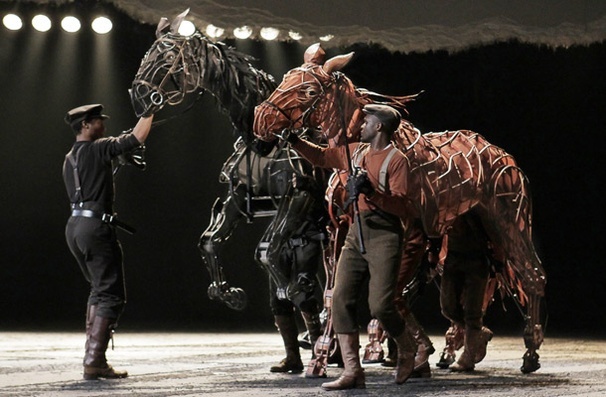 To describe Joey and the other horses in the production as "puppets" diminishes the achievement of their creators, the world-renowned Handspring Theatre from South Africa. The effect was staggering and subtle. 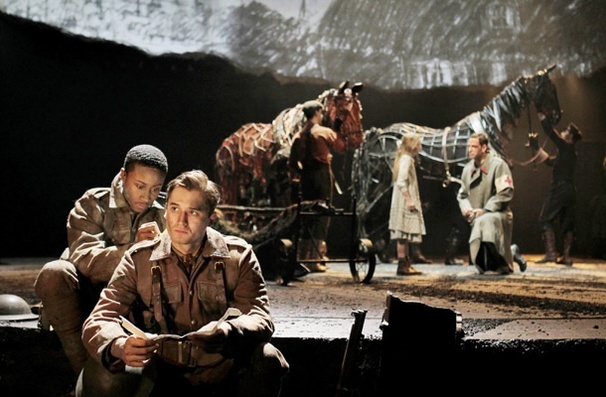 The horses breathed, moved, twitched, exactly like real animals. The effect completely transported the audience to a level of reality one wouldn't have thought possible. 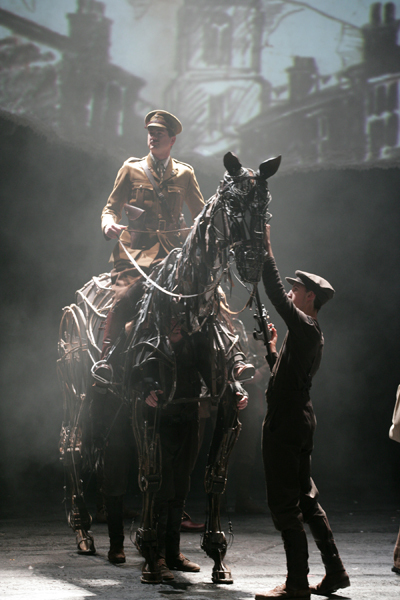 The opening sequence, when Joey is a just a foal, brought us near tears--and the play had just begun! 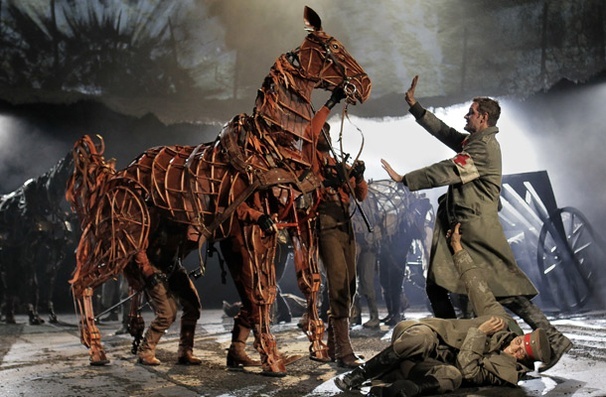 The highly stylized production had no sets, and few props, the most spectacular being a WWI-era tank--depicted in a similar armature-style as the horses. 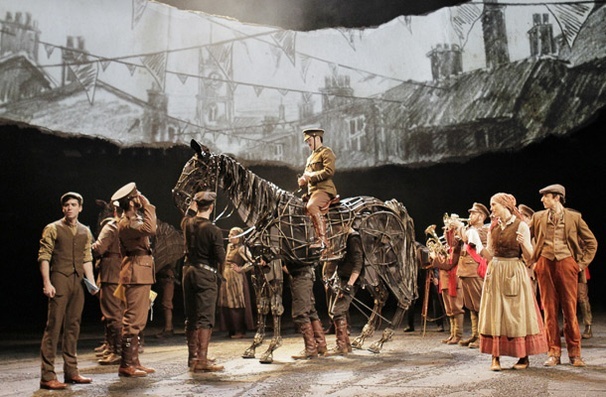 A giant torn piece of paper with black-and-white sketches of the different story settings (suggested by one character's sketchbook) oriented the audience, and augmented the narrative. The overall result was a work of genuine emotional power. The combat sequences were particularly harrowing. We left the theatre in tears, realizing we had experienced something very special. We can't rave enough about this work of art! Winner of SIX Tony Awards, including the coveted BEST PLAY, all well deserved.